Get A Fresh Beautiful New Smile! It’s perfectly natural for our teeth to lose their shine and become stained over time. Certain foods like coffee, tea and red wine can discolor your pearly whites and ruin the look of your teeth. If this is happening to you and you want to freshen up your smile, we can help you regain the lost look of your pearly whites. There’s a wide range of teeth whitening products you can use at home, however some of these products make exaggerated claims to their performance. If you want the best results, there’s no better option than to come in and see your dentist for a quick and easy session. We use a bleaching agent (carbamide peroxide or hydrogen peroxide) to brighten the front surface of your teeth. A curing light is used to active the bleach and then the peroxide is left on the teeth for 30 minutes to an hour. Once this is done, you come out with a bright new smile! 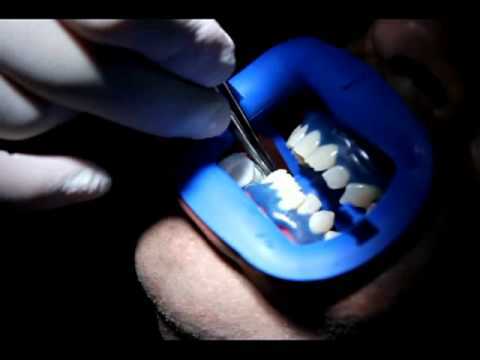 When done properly and supervised at a dental office, the procedure is extremely safe. Aside from a little tingling feeling which subsides over time, there’s no damage to your gums or teeth, and any fillings or other dental work you’ve had won’t be affected. What’s The Cost Of Teeth Whitening?